There are many, many things we love about the holiday season (friends, family,festivities, and good food to name a few), but adding some holiday touches to our home decor nears the top of the list. There’s something about taking an ordinary space and using color, light, and festive accents to add a subtle, celebratory flair that just feels…nice. When it comes to adding seasonal pieces to our personal spaces, we approach each room differently. By letting the intention and original purpose of the room guide us, it assures that our holiday home décor stays genuine, purposeful, and celebratory. From candles, low lights, and warm accents in the living room (to encourage rest,warmth, and relaxation) to evergreen and winter foliage accents in hallways (to keep your entire home smelling fresh) to decorating the hearth (which offers the perfect display area for cards and candles alike), there are endless opportunities to turn your home into a haven for beautiful, organic holiday décor. Our favorite room during the holidays has to be the living room. 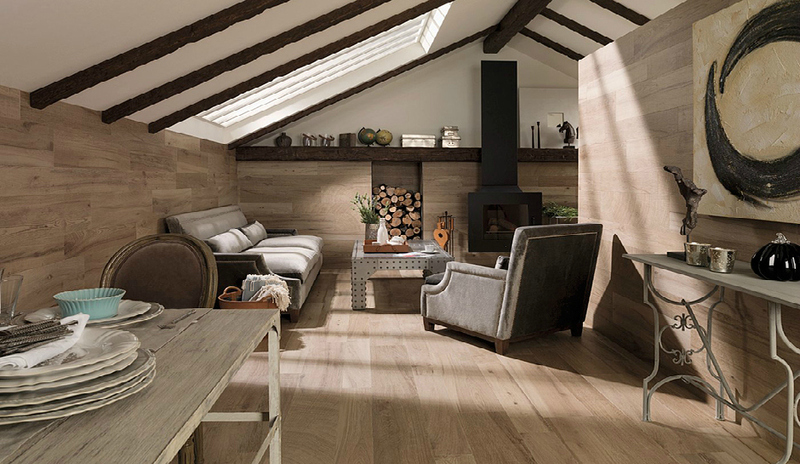 The living room is the heart of the home – particularly during the festive season. This is the room used for gathering, connecting, celebrating, relaxation, and conversation, and tends to be the area we find ourselves lingering in and longing for. To help make a living room feel like home this holiday season, and to evoke and encourage gathering, we recommend adding décor that brings to mind feelings of nature and comfort. Inspired by one of the very emblems of the season – the Christmas tree – we recommend using soft, golden candle lighting. This helps to mimic tree lights, while notes of winter foliage add a seasonal, decorative feel that reflects the green of a tree, especially when paired with warm Legend hardwood flooring or Ascot Roble wall tile. Nothing feels more festive than a room made purely for the art of gathering and celebrating, particularly when it’s one that matches the warmth of the season. 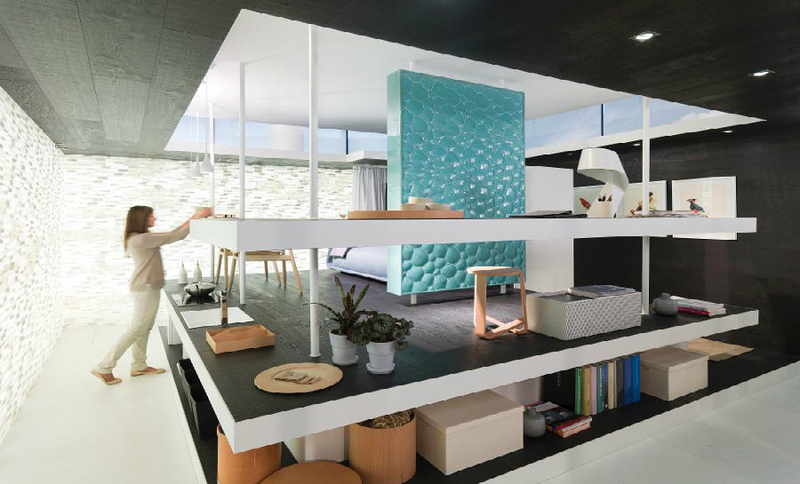 Whether you prefer a more traditional, home-for-the-holidays feel or are looking for something with a modern design, the options are limitless when it comes to customizing your holiday home décor. 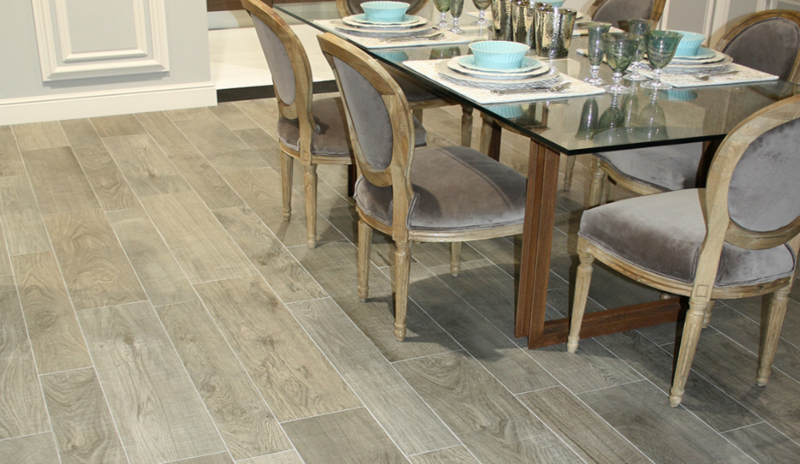 In the dining room, the beauty of the Parker Oxford Castano floor tile sets the mood for a chilly winter’s day. To match the mood of the season and the weather outside, accent your dining space to match the living room – with evergreen clippings, warm candles, and scent the air with homemade spiced cider. 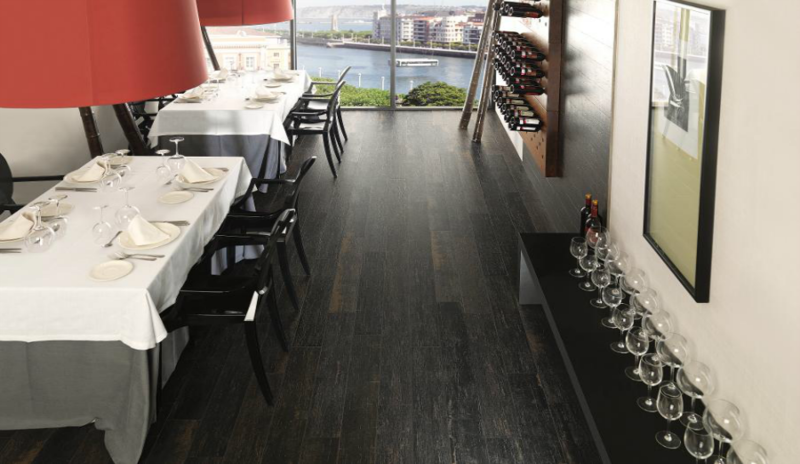 Paired with the Moy Moka floor tile, this creates an elegant yet comfortable space creates the perfect atmosphere for a cozy, low-key celebration. Both styles serve as effortless backdrops for holiday feasts by letting the color of the season truly shine. This assures that your holiday space will not only ring festive, but will also allow your home to serve as backdrop to the friends, family,and food that comprise the true beauty of the season. However you choose to decorate, there’s certainly no place like home for the holidays. This time of year, we find ourselves craving a comforting, inspiring space decorated in the spirit of the season, wherever that home may be. Here’s to decorating intentionally, wisely, and letting the spirit of the season shine through. Clementine Daily is an online space for real women living authentic-sometimes-frenzied-often-harried-but-always-inspired lives. Featuring original content, powerhouse writers and stunning photography for beauty, style, home, living and food, Clementine Daily celebrates the beauty of today’s multi-faceted, modern woman.